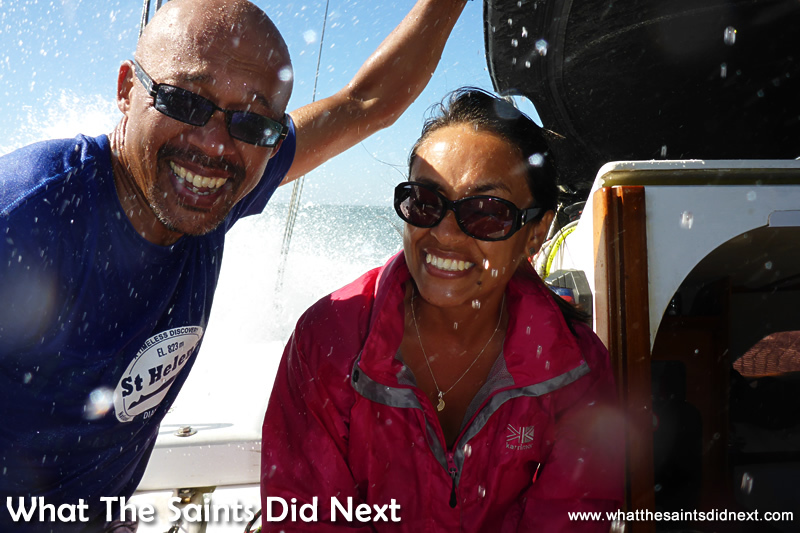 Soaked but having the most amazing time on the yacht, Banjo, South Africa, in March 2015. Raised eyebrows and a curious look is an occasional reaction from people when we refer to ourselves as Saints. Let’s clear that up first, in case you’re wondering. People on St Helena or more specifically, people born on the Island of St Helena are called St Helenians, or Saints for short. We are Darrin and Sharon Henry, photographers on St Helena. 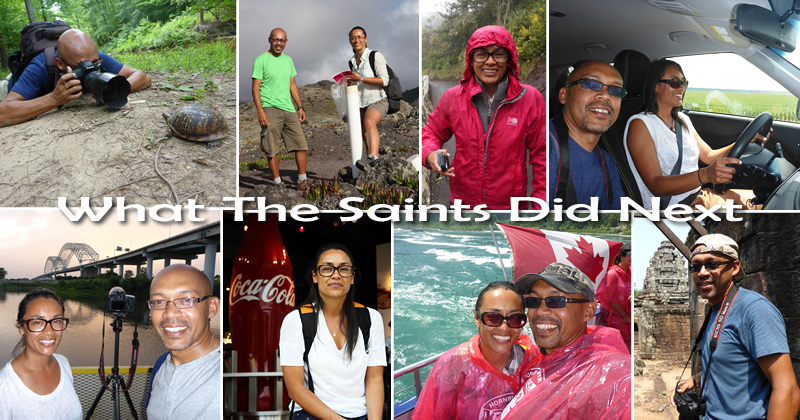 “What The Saints Did Next” is simply the two of us, sharing our passion and adventures on this photography blog. Married, no kids and with an ambition to travel as much of the the world as we can; that’s us. Photography for us, is still primarily a hobby, albeit a hobby that’s learned to pay its own way. St Helena is a tiny island, just 48 square miles in size, in the South Atlantic Ocean. Our closest neighbour is the even smaller Ascension Island, 700 miles to the north west. It used to take us five days to reach Cape Town by ship, but this has changed since an airport was opened on the island in October 2017. Click here for the main questions we get asked about St Helena. Over the years we’ve photographed nearly everything you can think of: weddings, christenings and birthday parties. Family portraits, modelling portfolios and actors’ head shots. We’ve shot a clothing line for a designer at London Fashion Week, a catalogue for a fancy dress company and a promo for an amateur theatre group. We’ve been commissioned to photograph interiors of luxury flats, roller coasters in theme parks and even bodies in the morgue. Yep, pretty much everything else along the way. From 2011 to 2014 we immersed ourselves in journalistic photography, while working for The St Helena Sentinel newspaper on St Helena. Some of our blog adventures so far. Photography keeps us active and trying new things. Our most challenging photography venture is now this blog, launched in January 2015. We’re both relatively late starters when it comes to social media and blogging, but finding it a real buzz how this ‘sharing’ culture is giving our photography a fresh impetus, almost on a daily basis. It’s also a great way to show off our beautiful home island which is still making the challenging transition into the modern age of air travel. 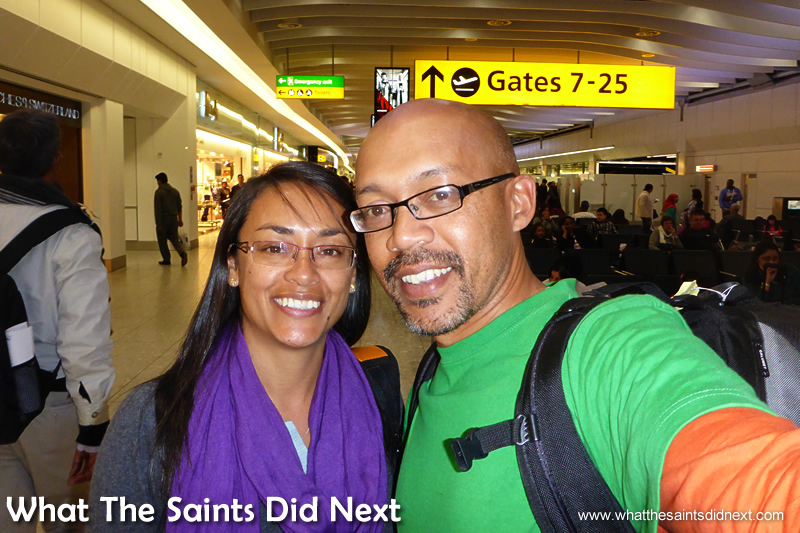 Preparing to board a plane at Heathrow, London, on our way to Bangkok, Thailand. March 2015. We’ve now produced five copies of our Breeze magazine (an e-magazine) which we’re really excited about. As part of WTSDN the magazine follows the ‘Adventures In Photography’ theme. Every issue of Breeze contains a photo shoot with a model from St Helena, plus stories and pictures from writers/photographers both local and around the world. ‘Breeze’ is an annual production and is available exclusively (and free) for followers of our photography blog. At the start of 2019 we officially launched Big Picture Tours as part of WTSDN. Guided walks around the many hiking trails of the island as well as a mini photography workshop session offering support and advice on obtaining better landscape pictures. A big part of our photography is the camera accessories in our bag, everything from filters to cleaners to tripods. Click Here to check out the list gadgets we’ve tried & tested and now recommend. Designing souvenir t-shirts of St Helena is something we’ve done long before we started blogging. More recently we’ve added baseball caps to our product line-up. Although we do the design ourselves, here on St Helena, the garment printing and embroidery is carried out in the UK and the final product is then shipped to the island. Everything is currently sold in local outlets, and in December 2018 we opened our WTSDN shopping page here on the blog. Orders can now be made online and mailed to anywhere in the world. On 31 December, 2018, we completed our third successive, year-long, photo-a-day challenge. The project challenge is basically capturing one new photograph every single day of the year. We started this on 1 January, 2016 and continued to shoot a daily picture every day afterwards without fail, for 1,096 days. We decided to finish after three years, however the entire project is still available to view, sorted in years and months. As a partnership behind the camera, we already have more than 25 years together, on tape/film/DVD/compact flash cards. Video and stills ran side by side for many years, but now we’re pretty much exclusive with stills. Living on such a small island we sometimes get involved in many community projects with our photography. This has included the First Generation photography exhibition and the Miss St Helena 2018 competition. So that’s a little about who we are. Hopefully you’ll enjoy the photography and posts enough to become a subscriber. Thanks for visiting our photography blog.